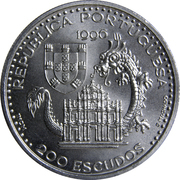 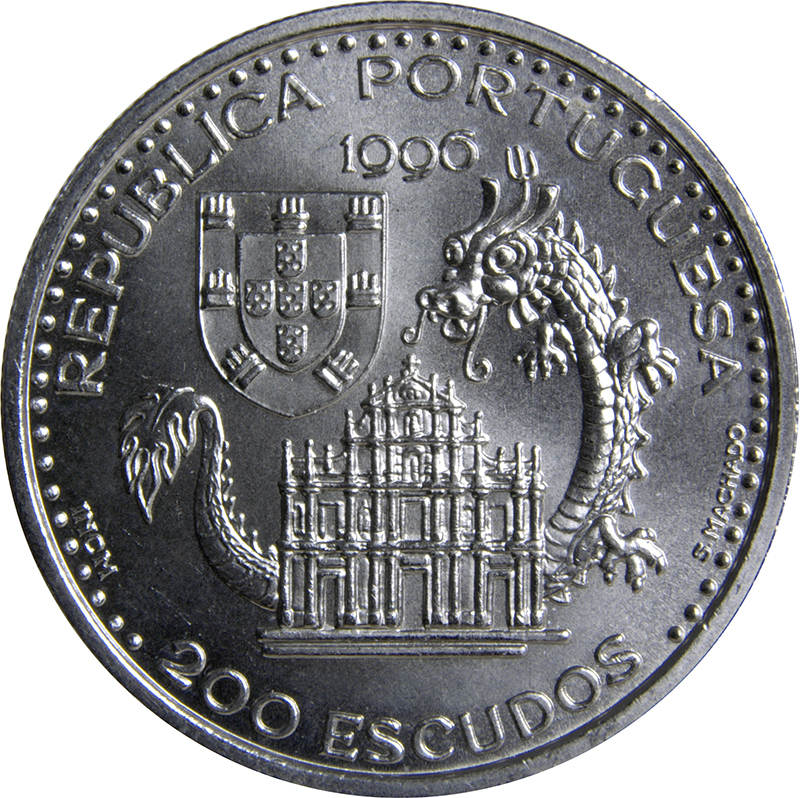 Under a Portuguese coat of arms, a representation of the ruins of the façade of the Cathedral of Saint Paul in Macau, surrounded by a Chinese dragon. 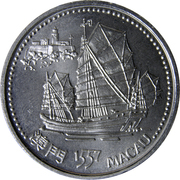 Chinese junk setting sail to the left under the fortress and lighthouse of the Guia in Macau. 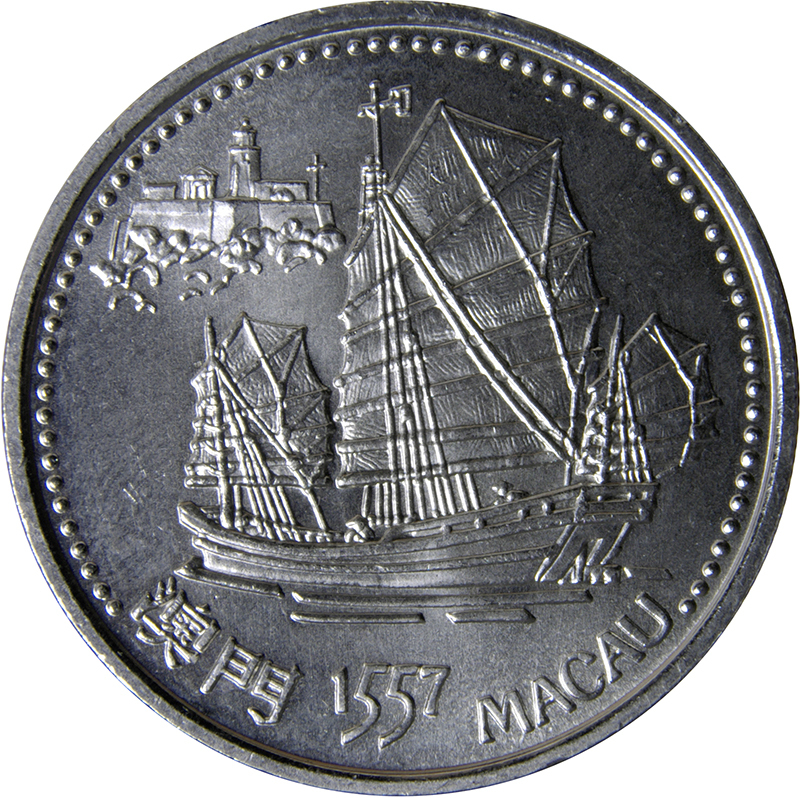 Lettering in Chinese and Portuguese underneath.